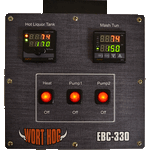 Browse these categories under "Electric Brewery Controllers"
Products under "Electric Brewery Controllers"
Automatic temperature control, linear power control, timer functions, and pump control. 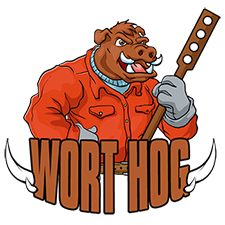 Great for HERMS or RIMS systems. 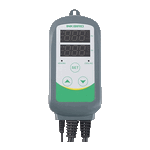 Control a 1, 2, or 3 Vessel system up to 1 bbl. 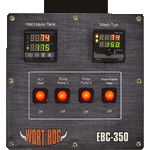 Electric Brewery Controller with automatic temperature control for HLT and Mash Tun. Also features linear power control for excellent boil control. 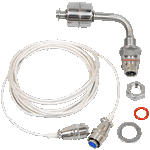 Designed for three-vessel HERMS systems. 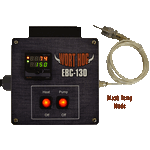 Electric Brewery Controller with automatic temperature control for HLT and Mash Tun. Also features manual power level for excellent boil control. HERMS or RIMS configuration. Dual heat output. Requires 240V, 50A service. 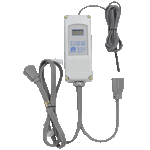 The TOWER of POWER™ Power Controller from Blichmann Engineering™ provides precision power control for your electric boil kettle.